I know what you are thinking, halo-halo! 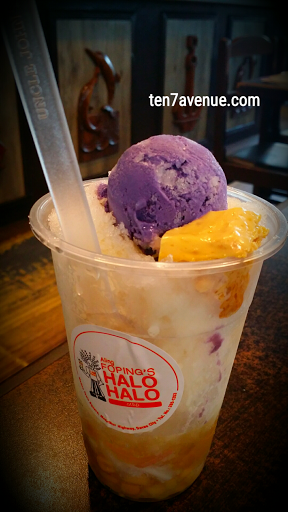 Halo-halo is the name of this cold treat not only during summer season but for all seasons. Aling Foping's Halo-halo atbp is a Davao brand dessert store which is known much with its halo-halo (of course, the store name suggests it! Lol). It has only 2 locations in Davao City, one at Duterte Town Square (Matina Town Square) and another at a big mall at Lanang. Anyways, this is one of the must taste halo-halo of your life. I am not exaggerating things but this is really worth every peso you pay. Literally, it melts in your mouth and delights your taste buds. Have you tasted this when you got in Davao City? I will appreciate it if you will share your stories with this delightful cold treat.